This is the third of five sermons I’m delivering based on the insights I’ve gained from reading Sky Jethani’s book WITH, Reimaging The Way You Relate to God. When I retrieve my newspaper each morning it usually has one or more inserts of advertisements with the Sunday edition being packed with them. Magazines sometimes have more ads than articles. The internet is covered with advertisements too. Then there’s the radio and TV, both of which are loaded with ads. All of us may go by many names but one name we all have in common is the name of consumer. Skye Jethani, in his book With: Reimaging the Way You Relate to God, points out that after the attack on Pearl Harbor, which ushered us into WWII, people were told to cut back on their consumption, so we could better fight the war. After the attack on the World Trade Center we were told to increase our consumption, to keep the economy going. Jethani points out, as many others have, that the role of consumption and of us all being consumers has grown greatly in the last century or so. Before this time people bought and sold the things they needed and there were no advertisements tempting you to buy what you didn’t need. That’s all different now. We are always being targeted as consumers. 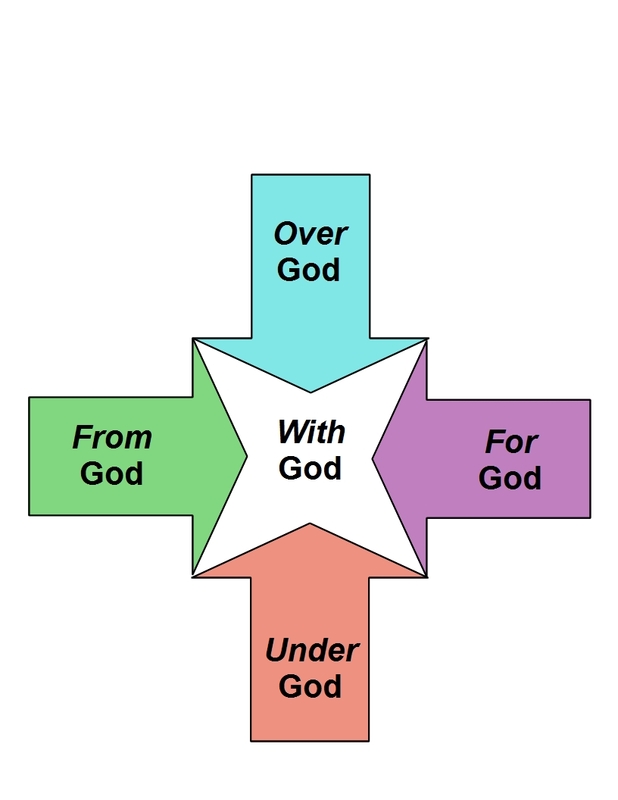 In his book, With, Jethani describes five positions we can take in relationship with God. We can experience life under God, life above God, life from God, life for God, and life with God. We’re doing a series of messages on these five positions we can take in a relationship with God. In this message we’re looking at life from God. Jethani writes, “Most of us hold in common a consumer worldview. Therefore we believe in a God who exists to satisfy our consumer desires.” (eBook loc. 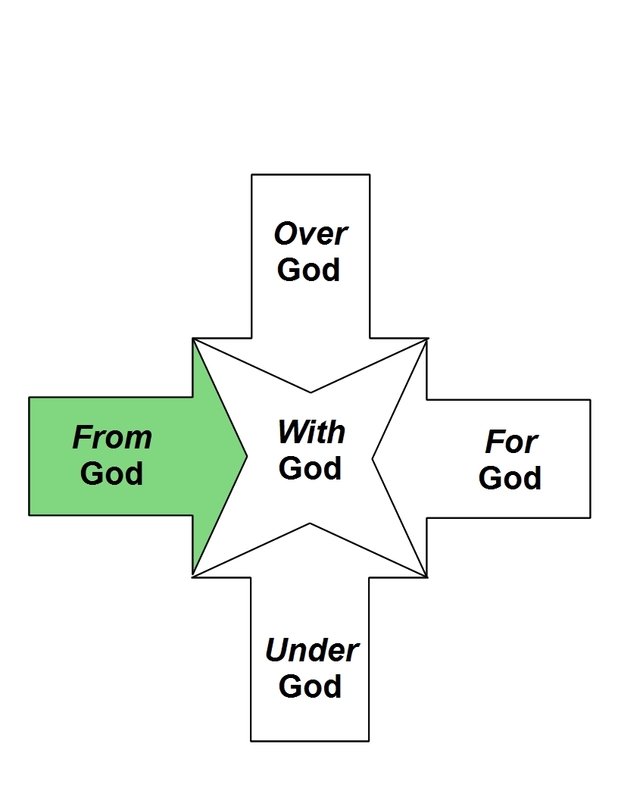 892) We find it very easy to focus on what we can get from God. Of course all that we need comes from God, we depend on Him, ultimately, for everything! The Bible says, “Every good and perfect gift is from above, coming down from the Father of the heavenly lights…” (James 1:17) Jesus said, “Therefore I tell you, whatever you ask for in prayer, believe that you have received it, and it will be yours.” (Mark 11:24) Asking God for things is good. It’s just that we can overemphasize this aspect of our relationship with God. This is what happens by the proponents of what has often been called the “health and wealth” gospel. Such speakers and writers say that God want us healthy and that He doesn’t want anyone poor. We’re to simply believe, really believe, and illnesses will be healed and financial blessings will come. Healing and financial blessings do come from the Lord, but in His infinite wisdom and love He does not always see fit to give us these as we sometimes want. Jesus had virtually no possessions, and if anyone should have been financially blessed you’d think it would have been God’s Son. The disciples, too, were not well off and none of them, we have good reason to believe, were rewarded with a retirement of relaxation. Most, if not all of them, faced the forced “retirement” of martyrdom. So much for always expecting God to bless with health and wealth. Sometimes He does, sometimes He doesn’t. 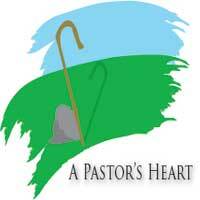 The apostle Paul was used of God to provide physical healing to people. We read that “God did extraordinary miracles through Paul, so that even handkerchiefs and aprons that had touched him were taken to the sick, and their illnesses were cured and the evil spirits left them.” (Acts 19:12) But then Paul himself had a health issue. He wrote, “There was given me a thorn in the flesh, a messenger of Satan to torment me. Three times I pleaded with the Lord to take it away from me. But he said to me, ‘My grace is sufficient for you, for my power is made perfect in weakness.’” (2 Corinthians 12:9) Yes, God can do our bidding, but, in His infinite love and wisdom, He sometimes doesn’t. Jethani says we can see God primarily as a divine butler or a cosmic therapist. I’ve often said we can see God as a divine vending machine; just deposit your prayer, selecting the right request to make, and “kajing” you hope to get what you put in for. Jethani states that “This is the essence of the LIFE FROM GOD posture – God exists to supply what we desire.” (Loc. 896) Jethani also writes, “God’s value is determined by his usefulness.” When you think about it, that’s true. When things are going well people tend to forget about God, to overlook Him, neglecting a relationship with Him. As it turns out, we often want God’s blessings more than we want the blessing of God Himself. We want the gift more than the giver. Such was the case of some lepers Jesus healed. Nine of the lepers had simply used Jesus to get what they wanted. They experienced life FROM God, getting their blessing from God. The tenth, however, a Samaritan, turned around, even before getting his pronouncement of cleansing from the priest, came back to Jesus, fell at Jesus’ feet profoundly thankful. The nine got their healing from Jesus but the tenth not only got a healing but, kneeling gratefully at the feet of Jesus, he got the beginning of a relationship with Jesus. The Biggest Blessing from God Is God! I remember going to my grandpa and grandma’s house out on their farm for Christmas. Actually, being of German descent, we called them Opa and Oma. What I remember most about Christmas at my grandparents home was getting my present from them. Often, it was as toy gun. One time it was as double holster with two pistols. Back in those days there was a lot of pretend bad guys and so I needed a new set of guns about every year. My grandparents have been gone a long time now. I wish I could spend Christmas with them again. But you know what? I wouldn’t look forward to getting a set of toy pistols, or any present. The best present would be able to see them again. We expect kids to be more enamored and captivated by the gift then the giver: that’s kids for you. But as we grow and mature that’s supposed to change. We even try to help kids along with growing in this direction by reminding them, after they receive the gift, “What do you say?” Usually the child gives a momentary jerk of the head to the gift-giver, says a quick thanks and get back to focusing on the present. As we mature we should be more interested in focusing on the gift-giver than the gift. Talk about getting a gift, Jesus told a story about an adult son who gets a gift from his father. The story is known as the parable of the prodigal son. Note the motivation for the son going back to his father. It wasn’t exactly a pure motive. He simply realized that life would be a lot better back with dear ol’ dad then staying on the pig farm. He wouldn’t expect to be close to his dad, not the way he’d treated him, but maybe he could at least be more of a servant and have a roof over his head and three square meals a day. With such less than a stellar motive, he heads home. We can treat God like that, wanting to reach out to Him for what we want to have from Him. As Jesus tells the story the father was more than anxious to see his prodigal son return. “But while he was still a long way off, his father saw him and was filled with compassion for him; he ran to his son, threw his arms around him and kissed him.” (Luke 15:20) I love how the great artist Rembrandt painted this scene. The son is kneeling before the father with dirty and worn clothes and one of his well worn sandals slipping off the foot. The father has his hands lovingly on the shoulders of his son, welcoming him home. People often come to God in a crisis. Most of us turn to God when things are going wrong. And you know what? The Lord welcomes us, even with our less than ideal motives, thinking more about the gift of God’s help rather than the gift of God Himself. Most of the people Jesus helped and healed came to Him because they believed He could help them with their problem, and He did. But He always wants more than to see us helped. He want to have us in a relationship with Him. Life FROM God, where we get good things from God is good, it’s just not the best we can have, not by a long ways! He wants us to have Him Himself most of all! So, as our title asks, “Can we count on God blessing us?” Yes, but not always in the way we count on; we need to leave that up to His infinitely wise and loving will. But He always wants to give us His best blessing of all and that’s the blessing of Himself! Life FROM God is good but life WITH God is best of all!